Range of adjustment suitable for stock Mustang k-members, and aftermarket k-members retaining stock suspension geometry. Longer spacer bushings are made of thick-wall Chro-Moly steel to ensure they will not buckle when the 5/8" nut is properly tightened. Black anodized aluminum adapter sleeve is threaded with 9/16"-18 SAE threads to match 1979-93 inner tie-rod ends. 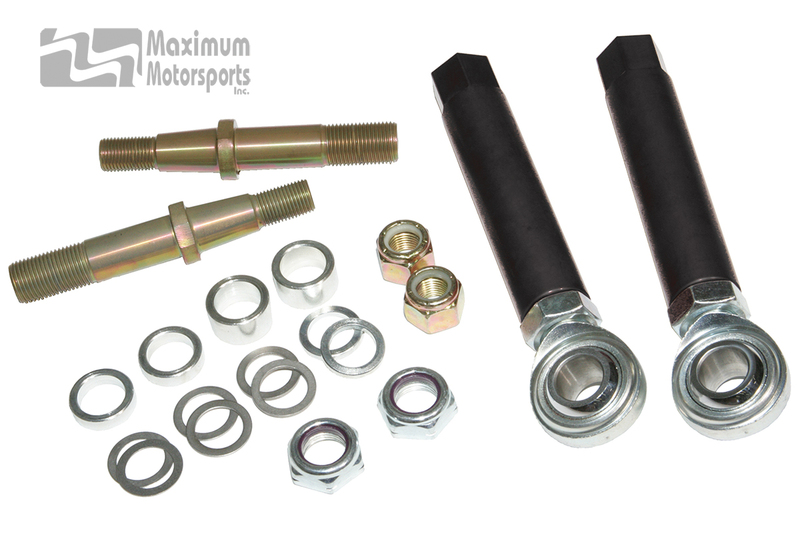 Bolt-through style (MMTR-1) bumpsteer kit is required for MM K-members. Fox chassis Mustang with SN95 front control arms needs the MMTR-7 bumpsteer kit.